GJ.16, 4R. 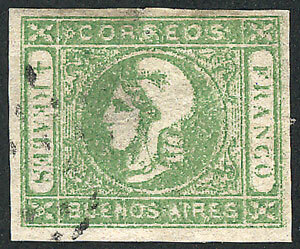 yellow-green, worn impression, used with dotted cancel of Buenos Aires, thin. Catalog value US$100.